Have you noticed how cycling vernacular is changing? The benefits of cycling and the attendant change in culture means there is more focus on the ‘bio-mechanical’ aspects of the sport. In essence we are talking about ‘the body’. Aside from the hardware of the bicycle itself which has always been a ‘given’, there is a growing concern for maintaining the physical well-being of the athlete as well. So now we have discussions on ‘posture, flexibility, mobility, strength, conditioning, yoga, pilates , personal training…’. The industry is growing with more developments. At some point we need guidance. How do we make sense of all of the new developments and whether they are suitable for you as an individual? Our case studies serve as snapshots of the various conversations and issues that we experience in the fittng process. They serve to highlight the myriad of personal variations which can happen due to lifestyle. The emphasis is to understand the variations and to take account of them – at this point we are ‘receptive’ in receiving information in order to inform us to move forward. Generally most people will need to address some ‘balance’ issues for the aforementioned reasons to enable optimum performance. The effectiveness of this approach is that it goes beyond the traditional approach of straight limb length measurement or the systems based approach to fitting. The added value comes from the assessment and corrective action. Undertaking a program of exrcise without knowing the focus and purpose is a ‘hit and miss’ approach. It will work for some but not others. Jo’s input as a corrective exercise specialist is essential here. To be effective the ‘conditioning’ needs to be informed – ‘personalised’. At Le Beau Velo we prioritise and clearly explain the changes/remedial work. Structured development involves interaction – taking ownership/responsibility. Stepping up and assessing the scale and direction required for the task ahead. 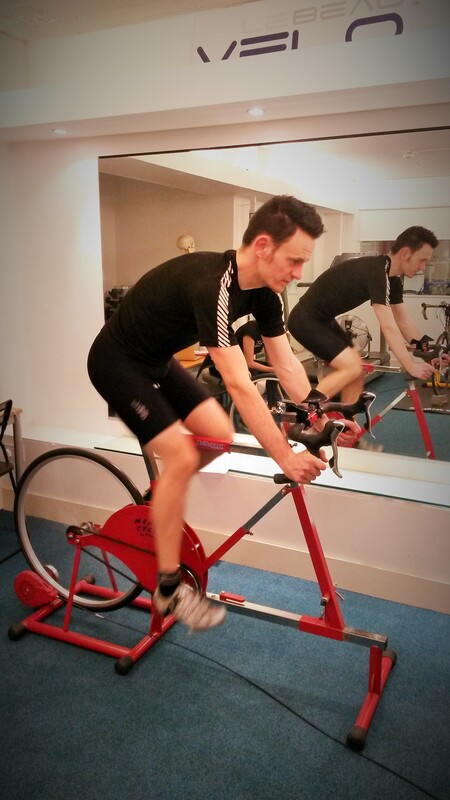 Within a bike fit we include a holistic overview together with 3 or 4 key personally tailored exercises to go away with. Jo also offers more comprehensive conditioning programs from Le Beau for those who want to take it further to maximise improvements. ‘The Need to Know’ is a human condition which drives us forward. People enjoy the control to in some way master their own destiny. Creating an action plan to achieve goals is REWARDING when it comes to fruition. The quality of the input is key to achieving this. Knowing which aspects need help and identifying the correct course of action is the skill.